1 How to Make Lenny Face? 2 How to Type an ALT Symbol on Keyboard? 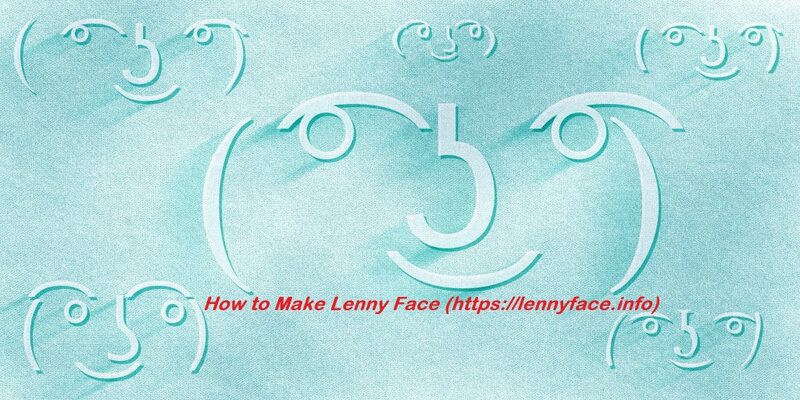 If you are searching out the guide which deals with the Lenny Face making with a keyboard then Here comes the comprehensive guide about How to Make Lenny Face. In order to keep getting new Lenny Faces to bookmark our website and stay updated. You can easily get Sad Lenny Face, Cute Lenny Face, Lenny Face Gun, and so many other Lenny Faces on this website. How to Make Lenny Face? When you are dealing with the Lenny Faces you must be familiar with the Unicode characters. And to draw any Unicode you have to press the ALT or SHIFT and Numbers on the Numpad (in most of the cases NumPad is on the right side of the keyboard) then you have to release the SHIFT key. You will get the symbol. You should try this Lenny Face (͡° ͜ʖ ͡°) on Keyboard. First of all, you need to turn on the Num Lock. Hit the following combination of Keys from the keyboard. For instance, if you want to type a degree symbol by using the ALT Code on the keyboard. First of all, make sure you turn on the NumLock. Press & Hold the Alt Key. Type the Alt Code value of the degrees symbol 0176 on the Numeric Pad. Release the Alt Key and got a ° Degree Symbol. Note – This process is not Applicable to the Macintosh.